5th Annual NW Permaculture Convergence Online Reg. Ends tonight! This weekend at Ft Flagler, join hundreds of Cascadian permaculture enthusiasts at the beautiful Ft Flagler Retreat Center on Marrowstone Island, WA 25 min from Pt Townsend. Visit http://www.northwestpermaculture.org to register online with your credit or debit card by 11:59 pm tonight, or with cash or check at the gate. The event: Practitioners across a wide spectrum of skill sets exchange ideas through concurrent workshops ranging from organic agriculture and wildcrafting to natural building and appropriate technologies; from environmental remediation and disaster preparedness to community dynamics and global justice. In addition to the workshop space, there are also dedicated areas for skill sharing, children's activities, educational displays, and vendors. Participants have opportunities to socialize over communal meals, and during the evening's entertainment. People bring dishes to share. Chefs prepare the food and everyone takes turns with the kitchen chores. This year's event is being held at Fort Flagler State Park, a 784-acre marine camping park surrounded on three sides by 19,100 feet of saltwater shoreline on ,Marrowstone Island. The park rests on a high bluff overlooking Puget Sound, with views of the Olympic and Cascade Mountains. Many historic buildings remain at this 19th-century-established military fort. Available onsite accommodations include Family Campgrounds at an additional $15.00 per person, or open partitioned Adult Dorms at additional $30.00 per person -for the duration of the event. Go to the Registration Tab to purchase tickets. The NW Permaculture Convergence, applying for non-profit 501(c)3 status, oversees event management and is fiscally responsible for each year's planning committees. This group teams-up with local communities for 'Shoulder Events,' supporting our allies with tours, panel discussions, workshops, and classes. Every year, the organization offers a number of volunteer and work trade positions. Ride shares, home stays and food donations can be bartered on the website FORUM page. Participation steadily increases with each Convergence. In 2012, attendance is expected to reach five hundred as long time enthusiasts and beginners alike will pilgrimage from every corner of the Cascadian Bioregion which extends from coastal Alaskan Panhandle to the north, into Northern California in the south, and inland to include parts of the Yukon, Idaho, Wyoming and Western Montana. Ocean views are spectacular from the event site, and the rare Olympic National Forest, a temperate rainforest of the Olympic Peninsula, is less than one hour away. As we plant the shape of the future, let us return to their place of honor and usefulness the herbs and fruits that graced the shores of the Salish Sea in great abundance prior to the colonial era. We must listen to the voice of the land which asks to be restored to ancestral nativity, at the same time as we apply our planetary re-inhabitory consciousness to creating new pathways for producing food and earth medicine. Some examples of the role that native plants can play in re-inhabitation will be given from Jefferson County, WA. Forest Shomer is owner of Inside Passage Seeds and originator of Abundant Life Seed Foundation, is a career seedman based in Port Townsend. He is Coordinator for the Spiritual Agriculture activity of the Sufi Ruhaniat International, and former Chairman of Friends of Fort Worden State Park, Port Townsend City Parks Commission, and Jefferson County Noxious Weed Board. For more info, visit insidepassageseeds.com. Jefferson County's Local 2020, our Transition Town initiative uses partnerships within mainstream community agencies, (e.g., the Dept of Emergency Management, Master Gardeners Association, etc.) that draw on the twelve Design Principles of Permaculture in establishing over one hundred neighborhoods that came together for emergency preparedness planning, and over twenty-five collectively planted neighborhood community gardens. In terms of permeating the mainstream, these initiatives were extremely successful in engaging a diverse group of people in neighborhoods across Jefferson County. Judith Alexander, MSW, has been self-employed in a private counseling practice in Jefferson County, Washington for thirty years. She is a founding member of Local 2020 Transition Town Initiative and a neighborhood community garden member. Jaqueline and Glenn of the Beacon Food Forest will discuss turning a design from a permaculture course into a large scale public permaculture project. Their talk will offer valuable insights to working with the public, the Press and negotiating with Government agencies on policies for growing food on public lands. They will describe how to design for the inclusivity of not only main street but the back streets of the under served culturally diverse population. Jacqueline and Glenn will reveal the successes and difficulties they have experienced in finding a common language with the public while staying focused on permaculture methods. Jaqueline Cramer is a Board member of P-Patch Trust, a founder of Friends of Beacon Food Forest, and a Seattle Fruit Tree Steward. She advocates for community gardens, and teaches public workshops as well as teaching at Roots of Empathy. She runs a gardening and landscape business in Seattle, Design Collaborators, and is a partner in Honeyscapes, a design collaborative. Northwest Permaculture Convergence 2012, come join us! An empowering three day sustainability event that will change your relationship with the planet, and each other. 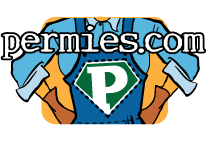 In 2012, Permaculture will be "Permeating the Mainstream!" It's time everyone had the tools. Practitioners across a wide-spectrum of skill-sets exchange ideas through concurrent workshops ranging from organic agriculture and wildcrafting to natural building and appropriate technologies; from environmental remediation and disaster preparedness to community dynamics and global justice. Participants have opportunities to socialize over meals, and during the evening's entertainment. People bring dishes to share. Chefs prepare the food and everyone takes turns with the kitchen chores. This year's event is being held at Fort Flagler State Park, a 784-acre marine camping park surrounded on three sides by 19,100 feet of saltwater shoreline on Marrowstone Island. The park rests on a high bluff overlooking Puget Sound, with views of the Olympic and Cascade Mountains. Many historic buildings remain at this 19th-century-established military fort. Available onsite accommodations include Family Campgrounds or open partitioned Adult Dorm Rooms. Participation steadily increases with each Convergence. In 2012, attendance is expected to reach five hundred as long time enthusiasts and beginners alike will pilgrimage from every corner of the Cascadian Bioregion which extends from coastal Alaskan Panhandle to the north, into Northern California in the south, and inland to include parts of the Yukon, Idaho, Wyoming and Western Montana to Fort Flagler State Park near Port Townsend, Washington. Ocean views are spectacular from the event site, and the rare temprate rainforest of the Olympic Peninsula is less than one hour away. Like you, I'm happy to fill whatever need arises. Tom wants folks to apply to key positions, so I will submit my resumé. Shall I post it here or email it somewhere? I will be at the National Wildlife Federation booth from 11am-5:30 pm on Saturday at the NW Flower and Garden show this wekend and want to encourage you all to come to the event!